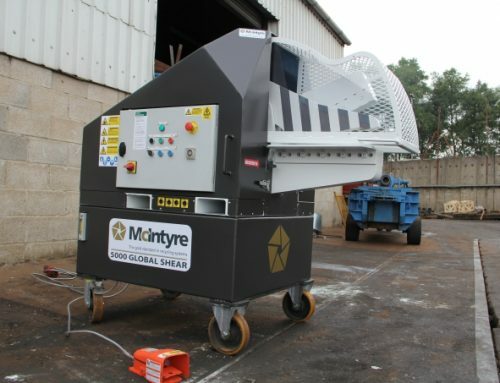 The JMC McIntyre 900 hydraulic alligator shear is equipped with 920mm (36.25″) blades to allow you to handle with ease large pieces of scrap metal and a wide range of other materials. 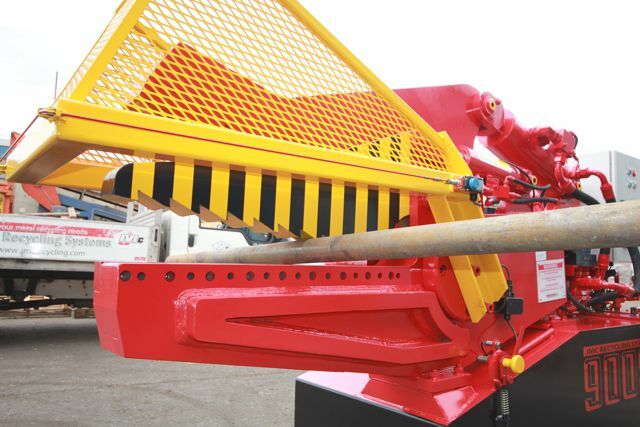 Designed to give maximum possible blade length without losing cutting capacity, the 900 alligator shear is perfect for a whole variety of yard uses. 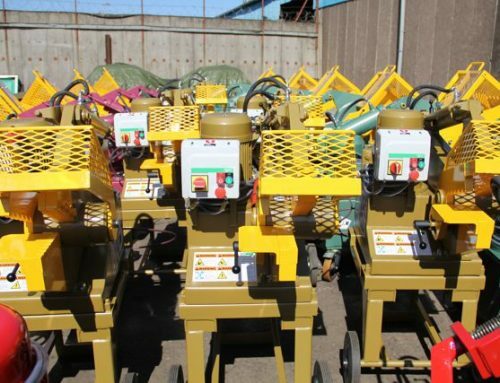 It’s particularly good at dealing with large pieces of non ferrous scrap. 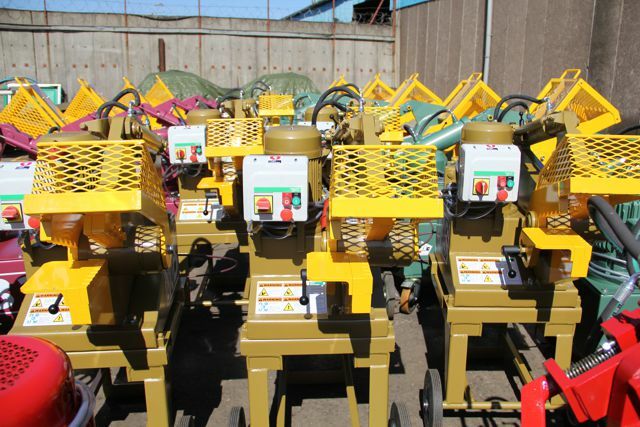 It has a cutting capacity of 88mm on mild steel round bar, or 3.5″. 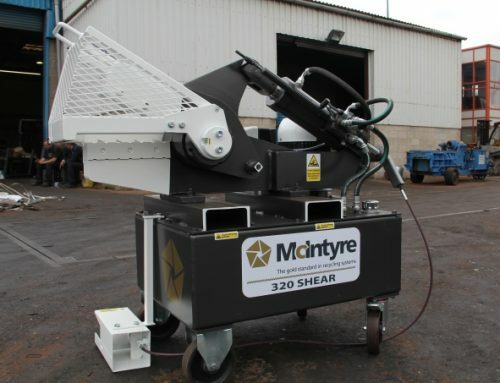 The 900 alligator shear can be operated via a foot pedal for more accurate control, or can be set to work continuously to enhance processing speed. McIntyre JMC alligator shears are built to last and this model is no exception. 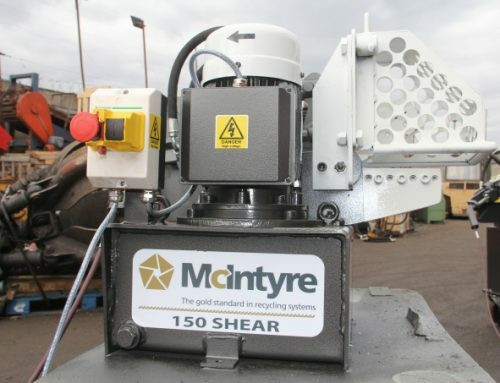 Manufactured from top-quality components, the McIntyre 900 alligator shear has a sturdy guard for operator safety. 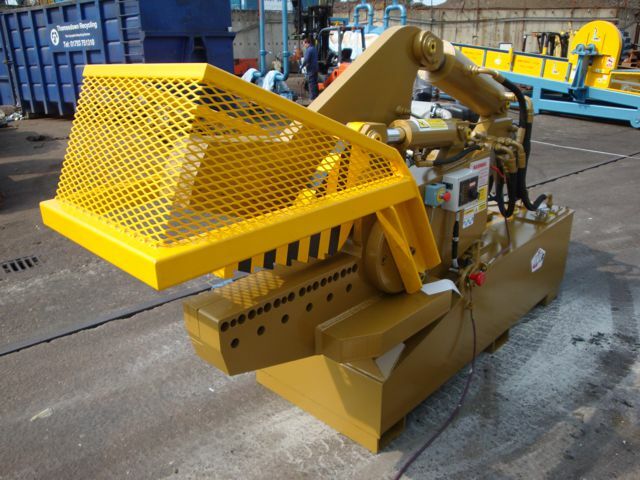 An automatic hold down clamp holds material in place during cutting and prevents kick back. 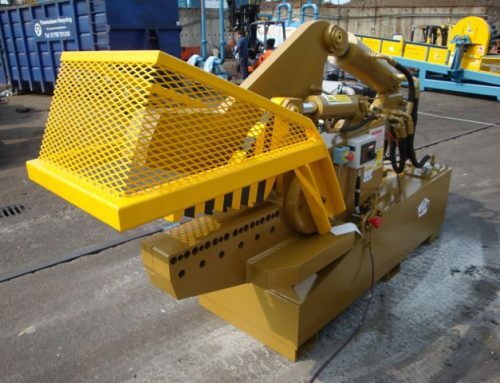 The 900 alligator shear can be fitted with solenoid control allowing it to be coupled to infeed or outfeed conveyors – particularly useful when handling long lengths of material such as aluminium extrusion. Organisations working in hotter climates can buy the model fitted with forced air cooling, while yards in colder climates can opt for oil-immersed tank heaters.